Prime Minister Narendra Modi and Japanese Prime Minister Shinzo Abe will on Thursday lay the foundation stone for India’s first bullet train project, connecting Mumbai and Ahmedabad, in Ahmedabad, Railway Minister Piyush Goyal said on Monday. “The commencement of work on the country’s first High Speed Rail (Bullet train) project will begin on September 14 in Ahmedabad,” Goyal told reporters here, adding that the bullet train technology would “revolutionise and transform the transport sector”. “This will be a historical moment as India will gets it first bullet train,” he said. “This is an occasion to celebrate the advent of the most modern technology in India. It shall also benefit the farmers for transportation of agricultural produce in a fast mode,” Goyal said. The Railway Minister said that the high-speed rail was envisioned by Modi to take Indian Railways towards “most modern technologies like developed countries”. With the Indian Railways adopting most modern technologies, the bullet train was an endeavour to bring economic growth and prosperity in the country, he said. The 508-km Mumbai-Ahmedabad High Speed Rail Project will entail an estimated cost of Rs.1,10,000 crore. “Out of this Rs.1,10,000 crore, Japan is giving a loan of Rs.88,000 crore and the interest on this loan is minimal, i.e. 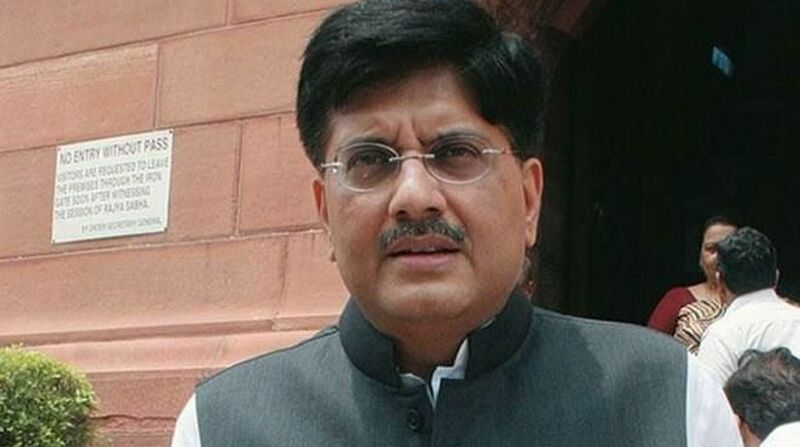 0.1 per cent,” Goyal said. Of the 508-km stretch, 92 per cent of the route will be elevated, six per cent in tunnel and the rest two per cent will be on the ground. That is, 508 km stretch will have 468 km of elevated track, 27 km inside tunnel and the remaining 13 km on the ground. The high speed train will also pass through the country’s biggest tunnel of 21 km, of which seven km will be under the sea. Sushant Mishra, Infra Advisor to the Indian Railways said that Japan was awarded the contract because there had been no accident on its bullet train networks. “They (Japan) are pioneers of bullet train technology, and their train has the highest punctuality rate,” Mishra said. Japan was also ready to transfer the technology to India and sponsoring the project. He also said that the works for the terminal in Sabarmati would start from September 14 itself. “About 825 hectares of land would be acquired for the high speed rail,” he said. On the Ahmedabad-Mumbai route, total 12 stations have been proposed that include Mumbai, Thane, Virar, Boisar, Vapi, Bilimora, Surat, Bharuch, Vadodara, Anand, Ahmedabad and Sabarmati. The distance of 508 km will be covered in two hours and seven minutes by the bullet train if it stops at four stations namely Ahmedabad, Vadodara, Surat and Mumbai. According to railway ministry officials, the operating speed of the bullet train will be 320 kilometers per hour and maximum speed will be 350 kilometers per hour. If the bullet train will stop at all 12 stations, then it will cover the distance in two hours and fifty-eight minutes. In a day, the high-speed train will make 70 Ahmedabad-Mumbai sorties. “A total of 24 high-speed trains will be imported from Japan and then rest of the rakes will be manufactured in India,” Mishra said.